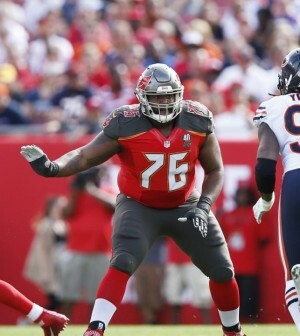 According to reports, The Tampa Bay Buccaneers have decided to use the franchise tag on left tackle Donovan Smith just days before the March 5th deadline. The deal will make him the fourth highest paid in the NFL at his position, which adds up to a total of $14.067 million for the 2019 season. Beyond that, his future for the team is still in question despite the hope that both sides can agree on a long-term extension. Buccaneers GM Jason Licht danced around the question when asked about Donovan’s contract situation at the NFL combine last week. The 25-year old, who was selected 34th overall in the 2015 NFL Draft, has yet to miss a game in his professional career and has started for the team in all 64 of his appearances.